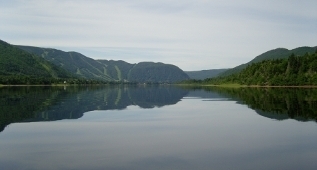 Humber Valley Resort is situated close to the hub of the highway system on the West Coast of Newfoundland giving easy access north, south and east. Use your luxury holiday lodge as the kicking off point to explore the wide variety of scenery, historical sites and wildlife found all over the west coast of the island. 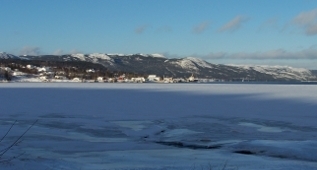 Explore Corner Brook, the regional center for the west coast. This town of around 23,000 people nestles at the head of the Humber Arm which forms part of the Bay of Islands. Walk the trails of the Corner Brook stream complex, swim in the river in Margaret Bowater Park, visit the James Cook Memorial, visit the local museum, explore the historic Broadway area or check out forthcoming events at the Arts and Culture Centre. Head down the south shore of the bay to visit Lark Harbour and Bottle Cove and if feeling energetic take one of the many walks or hikes into the Blomidon Mountains. Alternatively, cross the bridge at the mouth of the Humber River and explore the north shore highway down to Cox's Cove. Feeling adventurous? Turn off at Hughes Brook and take to the logging roads in towards Old Man's Pond for a back-country experience. Be warned though, the roads can be rough and you need to be on the lookout for logging trucks. From Deer Lake take the Viking Trail north and just across the Upper Humber bridge visit The Insectarium or go as far as the turn off to Cormacks and visit the Richard Squires Memorial Provincial Park. Walk down to the Upper Humber River at Big Falls and see the salmon jumping the falls on their way up river to spawn. Alternatively head east along the TCH to the Howley junction, turn off and visit Grand Lake and Sandy Lake Waterway System. 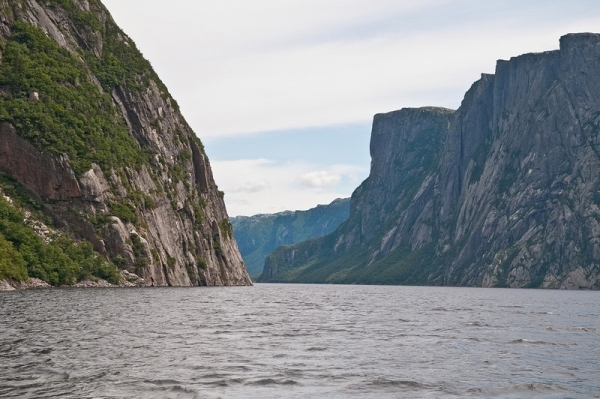 Continue further north to Gros Morne National Park, a UNESCO designated World Heritage Site. Visit the Park Interpretation Centers at Woody Point and/or Rocky Harbour. From Woody Point visit the Tablelands, a unique geological formation where the earth's mantle has penetrated the crust, one of very few locations worldwide where this is seen. Continue to the end of the road to Trout River, an isolated fishing village. 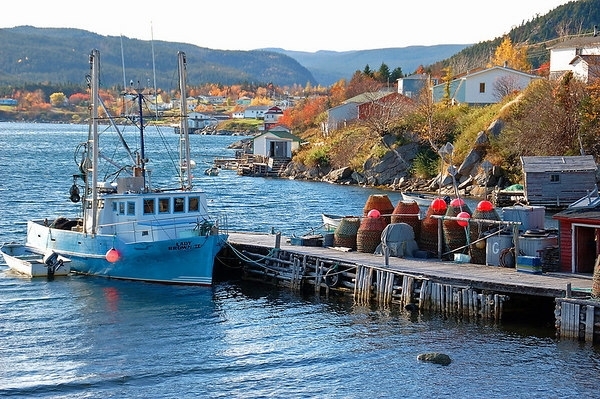 Return to the Viking trail and continue on around Bonne Bay to reach Rocky Harbour, the centre of life in the Park. A little further north and you come to the car park for the trail in to Western Brook Pond. 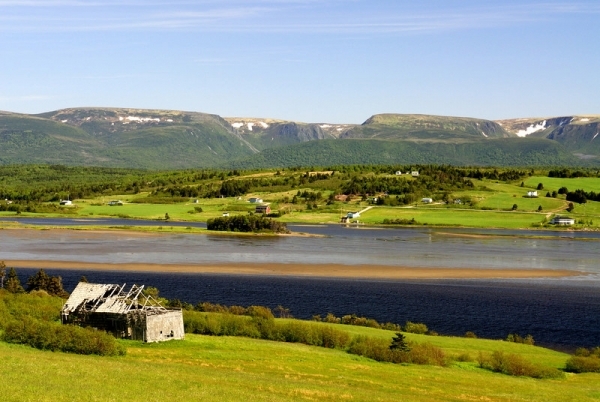 Walk the boardwalk into this fresh water fjord and cross typical Newfoundland bogs and streams. 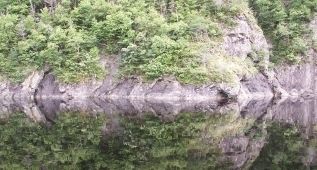 Once at the pond relax in the café or ride the boat tour deep in to the mountains along the steep sided dramatic glaciated valley which forms Western Brook Pond. Continue north along the Viking Trail and soon after you leave the Park you reach Cow Head, the summer home of Theatre Newfoundland with nightly shows at the Shallow Bay Motel. This professional theatre group has received wide acclaim and is a popular attraction for visitors (www.theatrenewfoundland.com). 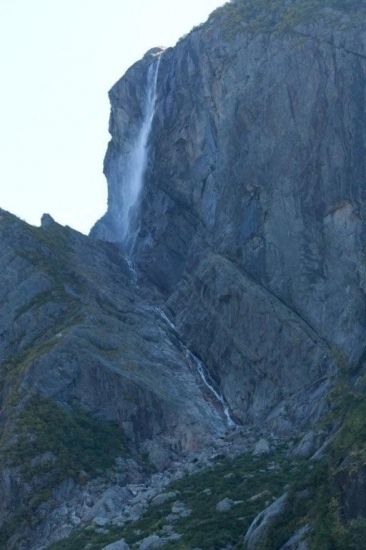 As you proceed up the Northern peninsular the settlements become less frequent and the landscapes more rugged. On your way you pass the turn off to St Barb, the home port of the ferry to Southern Labrador. As you near the northern tip of Newfoundland you are entering prime territory for the iconic Newfoundland sights: icebergs, whales and moose. At the far north is L'anse au Meadows, the site of the only confirmed Viking settlement in North America. Visit the site to see the excavations, the recreations of village life and learn about the history of this short lived settlement. For a unique experience spend a night or two at Quirpon Lighthouse Inn on near-by Quirpon Island. This experience, which must be booked in advance, offers the opportunity to stay in a genuine lighthouse keepers cottage and experience real "down-home hospitality" in a setting which gives you a grand stand view of the whales and icebergs (www.linkumtours.com). Turn west on to the Trans Canada Highway from the Resort towards Corner Brook. 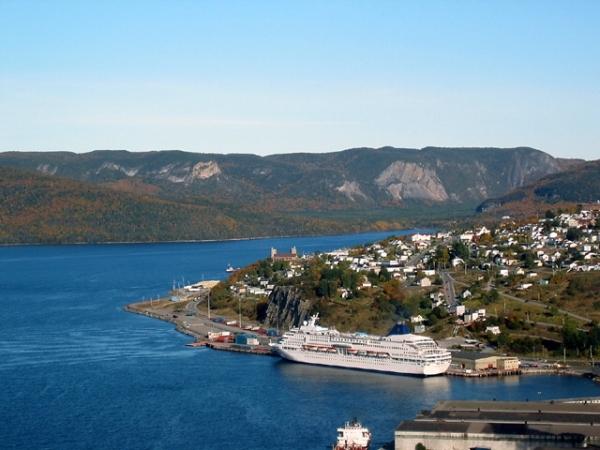 The first major exit from TCH south of Corner Brook is the exit to Stephenville, the gateway to the Port au Port Peninsular, where the last remnants of the early French influence on the West Coast of the island are to be found. Just south of the Stephenville turn off is the the turn off to the Burgeo highway. This road tracks up through the wooded South West river valley before climbing and crossing the "barrens", the sub alpine high country of the south west, before reaching Burgeo on the south coast. This remote village is the terminal for the ferry to the fishing villages along the south coast of the island with no road access. 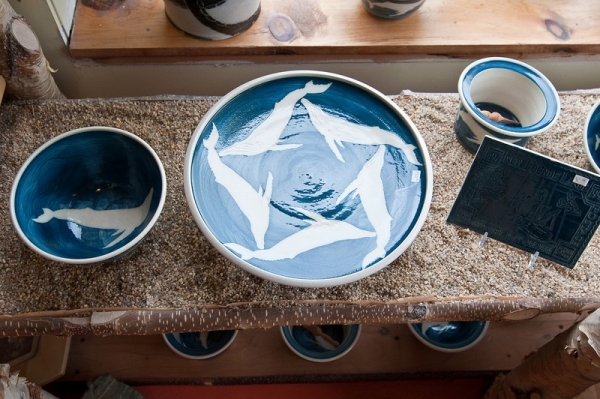 Burgeo has a sandy beach and is renowned as a bird watching haven. Continuing south down the TCH you reach the Cordroy Valley, one of the few rich agricultural areas on the island. Drive out through the valley to reach the coast at Cape Anguille. Visit the Cape Anguille lighthouse. Once you reach Port au Basques, the terminal for the Marine Atlantic Gulf ferry to Nova Scotia, turn left and follow the south coast until you reach Rose Blanche. The rugged beauty of this coast and the granite lighthouse at Rose Blanche make this a rewarding journey. Turn east on to the Trans Canada Highway, set the cruise control and in about 8 hours you will reach St John's, the provincial capital about 660 kilometres away on the East Coast of the island. This is an interesting and rewarding drive but is only recommended if you have plenty of time or if you plan your itinerary to leave for home from there. Much closer to base is the Green Bay/White Bay area about an hour east of Deer Lake. Several highway junctions take you to different parts of this area. Take the Baie Verte highway to visit Round Harbour, a largely unspoiled fishing village with boardwalk access only to most of the houses. If time permits take the walk to Indian Burial Place, a nearby abandoned village. If Mrs. Fudge is home visit her to purchase hand made knit wear. Alternatively stay on the TCH for one more junction and take the Springdale exit then shortly after turn off towards Kings Point. Stop off at the pottery down on the waterfront to see the original work of Linda and David then cross the road for refreshments at the By the Bay Café built right out on the wharf (www.kingspointpottery.com, www.bythesearesort.ca). Make a day of it and walk the Alexander Murray Trail. The views from the top of the hill make the effort worthwhile! (www.saltscapes.com/travel/take-a-hike/the-alexander-murray-trail-kings-point.html). New in 2010 will be the Whale Pavilion, displaying the skeleton of an adult hump back whale which washed up in the community a few years ago and the Heritage Centre, the local museum.